Competitive PricingCommission FREE Gold and Silver trading! Competitive PricingCommission FREE Gold and Silver trading! AAFXTrading.com works with leading global banking institutions to bring you the best available prices! 24 Hour Dealing Desk SupportDedicated to your successful trading experience, AAFXTrading.com strives to provide you with the best service possible! 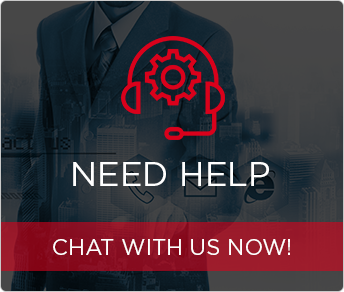 Whether you are just beginning or a seasoned pro, access our 24 hour Dealing Desk for expert support! Easy and Efficient Trading PlatformTrade Gold and Silver with MarketTrader; use the same platform to trade other popular instruments such as Indices, Currencies and Commodities! **Once you open and/or close a trading position, we take our commission through the spread, which is the difference between the current Buy and the Sell price. Due to market fluctuations the spread might vary, see here. AAFXTrading.com does not receive commission, incentives, fee reductions or rebates from any clearing firm. Please Note: AAFXTrading.com reserves the right, at its absolute discretion, to widen spreads, decrease leverage, control maximum order amounts and limit clients’ total exposure. Please go to our Terms and Conditions for full terms. Gold and Silver is traded from Sunday at 23:01 GMT to Friday at 22:00 GMT. Please Note: due to low liquidity in global markets, between 22:10 GMT and 23:01 GMT, Gold and Silver will be closed for trading. Be advised that if market liquidity remains low after 23:00 GMT, spreads might widen. For more information about Gold & Silver trading conditions, please visit the CFD Trading Conditions page. AAFXTrading.com reserves the right, at its absolute discretion, to widen spreads, decrease leverage, control maximum order amounts and limit clients’ total exposure. Please go to our Terms and Conditions for full terms. AAFXTrading.com also offers currency trading on all the most popular currency pairs. If you are interested in trading major currencies, visit our Forex Trading Page!